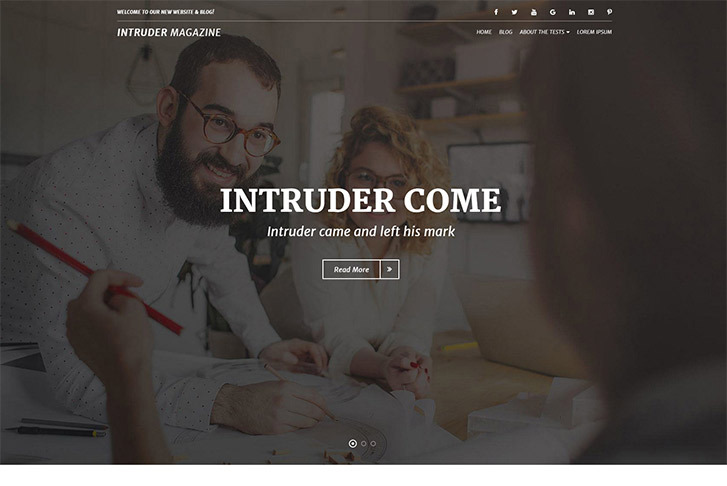 Intruder is modern business theme, with built in support for Live Composer – a free page builder. Theme comes few custom modules for Live Composer (pricing tables, slider and circular progress bars which are fully customizable), multiple layouts, full width page template, schema.org support, custom widgets for business hours, about widget, popular posts and social menu. There’s also support for logo / image, and transparent header for full width templates, and that’s manageable via customizer.